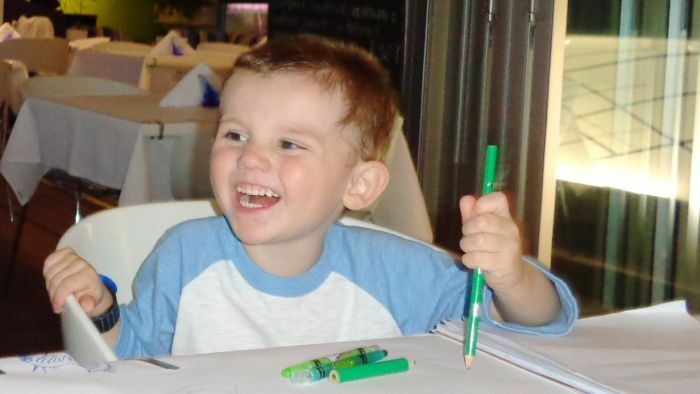 An internal investigation is underway into Detective Chief Inspector Gary Jubelin, the police officer in charge of the case of missing boy William Tyrrell. The missing boy’s case was referred to the coroner last year after police searched for clues for four years. William became known as “the boy in the Spider-Man suit” because he was wearing the costume when he went missing from the front yard of his foster grandmother’s home. He disappeared from the NSW Mid North Coast town of Kendall. The ABC has confirmed Detective Jubelin is being investigated over allegations he used his mobile phone to record someone without a warrant and complaints relating to staff management. Detective Jubelin has told the ABC he “strongly denies” any wrongdoing and will continue to work in the homicide squad for the duration of the investigation. In a statement, NSW Police said the acting state coroner and counsel assisting had been briefed and noted the inquest set to begin in March would proceed as planned. Police said the inquest would be an “opportunity to test information and evidence” gathered by Strike Force Rosann and further the investigation. “This is another step in ensuring answers are provided to William’s loved ones,” police said at the time. Although it was first believed he wandered off and got lost, police later said the circumstances in which he disappeared led them to believe he was abducted. In 2015, the homicide squad searched dense bushland around Bonny Hills, 20 kilometres from where William was last seen. A fresh month-long forensic search took place in bushland around Kendall in 2018 as a result of information received during the investigation. Detective Jubelin said at the time that investigators had gained new information from the search, but failed to reach the breakthrough they had been hoping for. Since William went missing, police have identified almost 700 people of interest, conducted hundreds of interviews and gathered more than 4,000 pieces of evidence. NSW Police announced an unprecedented $1 million reward for information leading to William’s recovery on the second anniversary of his disappearance in 2016.